Shalom Baby is designed to help San Diego families (affiliated, non-affiliated, and interfaith) celebrate the arrival of their Jewish newborns and welcome them to the San Diego Jewish Community through: gift baskets, play groups, social events, holiday celebrations, and resource guides. This successful outreach program has expanded to meet new parents' needs by offering: infant massage tutorials, musical gatherings, baby book clubs, sleep solutions classes, and more. From our first meeting in September 2005, our babies have continued to grow up together - learning and developing and preserving the friendships and bonds built a decade ago. Fate and the unparalleled, unique nature of the Shalom Baby mission brought us together. Indeed, we are thrilled to have celebrated our 10-year Shalom Baby reunion this month. Thank you Shalom Baby, for bringing us together. We are eternally grateful for the lifelong connections that we have formed. Would You Like to Start a Chavurah in Your Area? Do you have a friend or relative with a passion for Jewish continuity? Are they celebrating a milestone or special event (a birth, bar/bat mitzvah, anniversary or birthday) in their life? You can make a charitable gift in their honor when you donate to Shalom Baby. Provide the name and address of the person you would like to honor and we'll mail them a special card telling them of your gift. Fill out an honor tribute form. Would you like to pay tribute to someone you were close to who has passed on? You can make a charitable gift in their memory when you donate to Shalom Baby. Provide us with the name of the person your gift is in memory of, as well as the name and address of the person that will receive the memorial card, and we'll let them know of your generous contribution. Fill out a memorial card form. We want to support you and your young families; we have planned programs, classes, activities, events, and celebrations to meet your personal, recreational, social, educational, and Jewish needs! 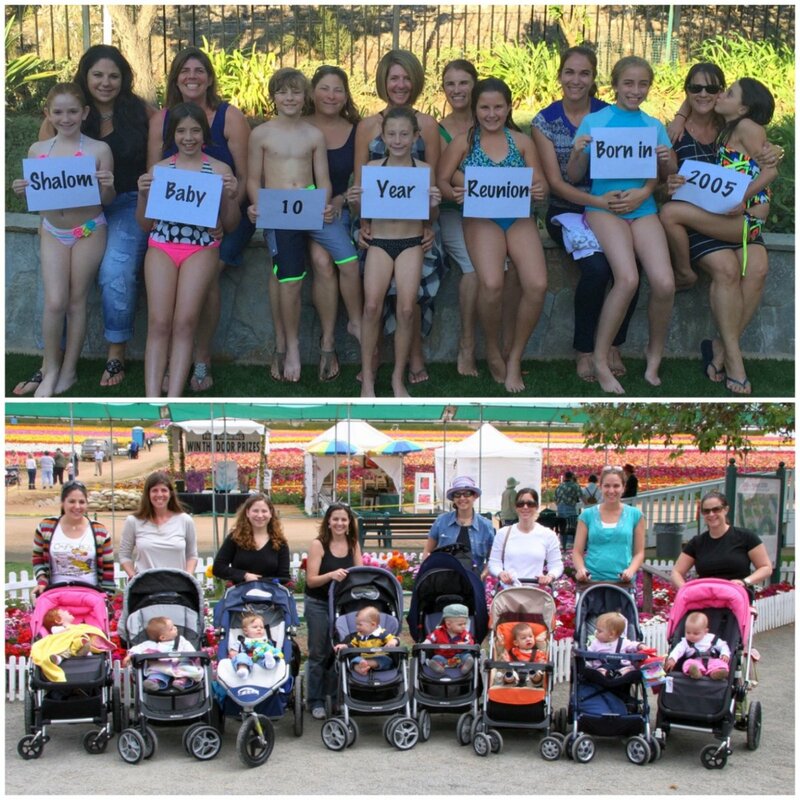 Shalom Baby: Welcoming new babies and their families to the San Diego Jewish Community. PJ Library: Get a free high-quality Jewish children's book or CD every month (six months to six years). Enrichment Classes for Children: Programs for newborns through two-years-old and their parents. Educational Classes for Children: First preschool experiences accompanied by an adult. Exercises for Moms: Pre and post-natal workouts. Educational Programs for Parents: Focusing on topics of unique interest. Social Activities for Parents: Forming beautiful friendships for moms, dads, couples, and families. Inter-generational Events: Sharing time with seniors, especially for children with absent grandparents. Jewish Events: Celebrations of Jewish holidays and Shabbat.